All BLUE HORIZONS PARCEL 12 R homes currently listed for sale in Buckeye as of 04/19/2019 are shown below. You can change the search criteria at any time by pressing the 'Change Search' button below. "Don't miss out on this opportunity to own this fantastic home with a premium lot. It is turn-key ready and awaits its new owner. 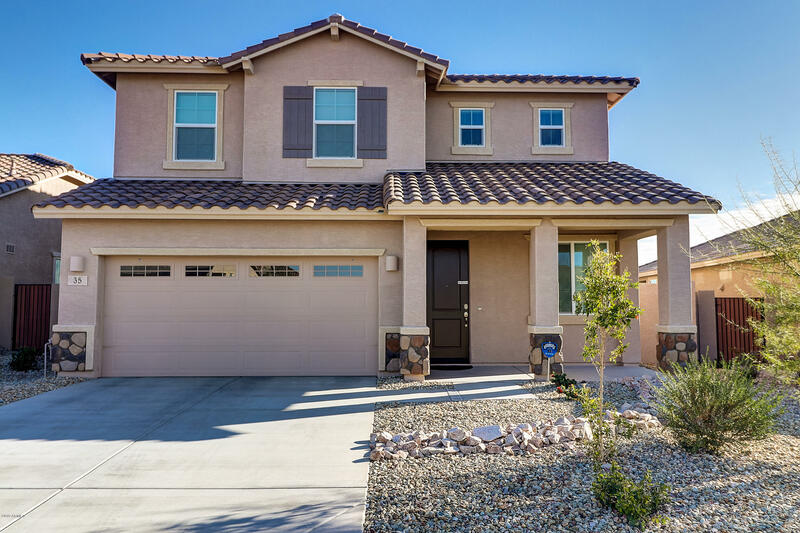 Just minutes from the freeway and Verrado, This spacious 5 bedroom home has all the amenities a family could want. It features a stainless steel appliances, upgraded 42'' Maple cabinets, granite countertops, and a gas cook top. It also features a softwater loop and oversized lot.Beautiful Blue horizons neighborhood has numerous parks and recreation areas for the ent"